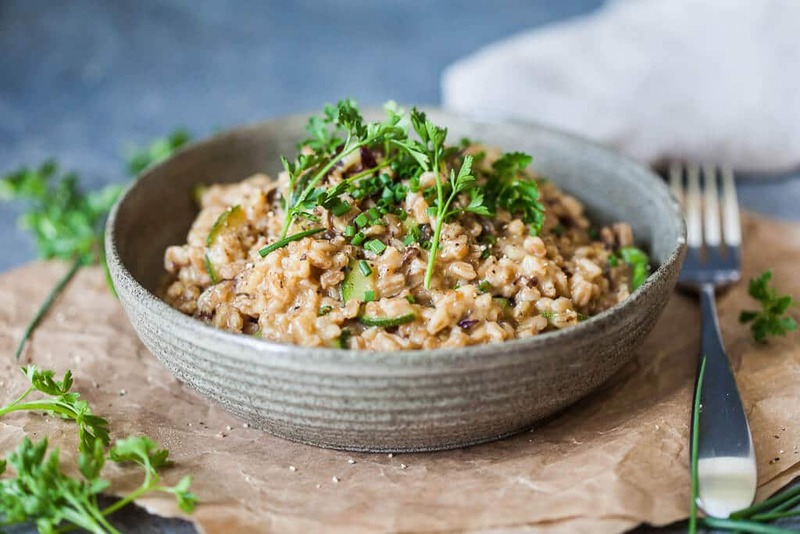 This recipe for a Vegetarian Farro Risotto is simple and produces enough to feed two people. 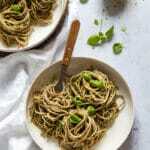 You will not need many ingredients and, except for farro, you probably already have everything as a staple in your kitchen. So go ahead and give it a try. 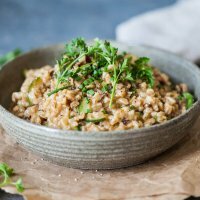 If you do not have farro at hand, or cannot find it in stores, regular rice or pearl barley will work just fine. 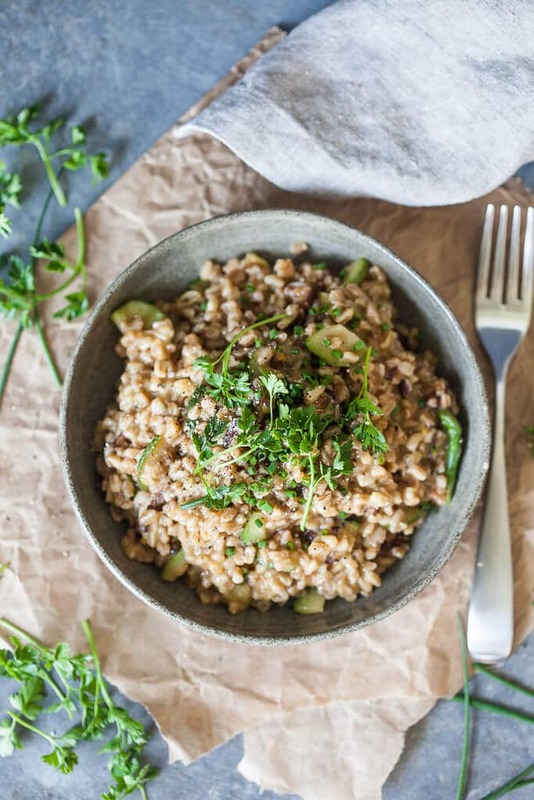 Farro is similar to pearl barley. It is a tricky term for a grain, as it includes three wheat species: spelt, emmer and einkorn, all types of hulled wheat. 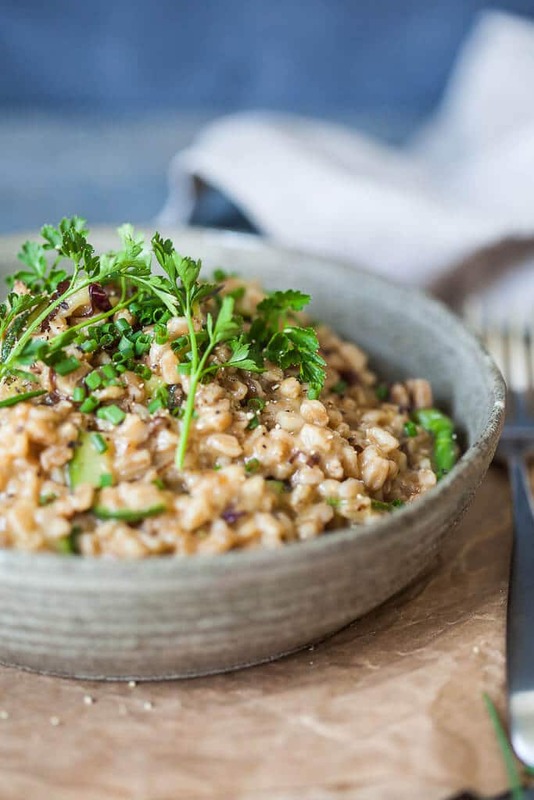 There is confusion in naming, but most often farro refers to emmer, which is the most common variety grown in Italy or spelt (common in Germany). 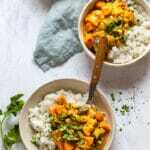 Farro is an excellent source of vegetarian protein, several B vitamins, and numerous dietary minerals though cooking reduces all nutrient contents. It is also rich in dietary fiber and low in fat and can be used in salads, soups, and stews. Farro is also trendy! 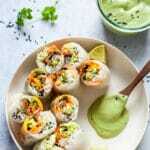 As it is a healthier alternative to white rice and wheat and a fresh spin to quinoa, it has been getting more and more attention. We like to experiment with different ingredients. Making a risotto with a grain that is not, well, rice, will give it a whole new flavor and texture. Farro is a bit chewier under teeth and has a more nutty flavor. But you can cook it just as you would wholegrain rice. That said, it takes a bit longer to put the dish on the table (cooking time about 30 minutes). 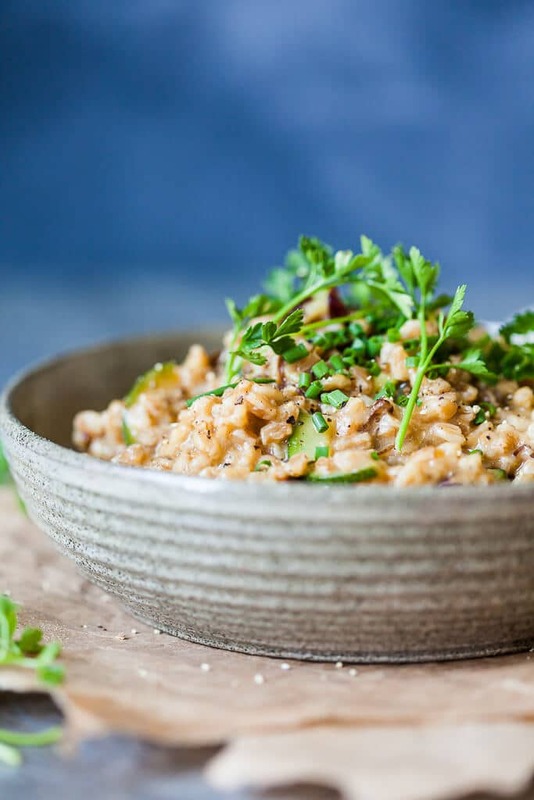 Try this delicious Vegetarian Farro Risotto for a simple and easy dinner. Start by peeling and chopping your vegetables. I like to finely dice the onions and grate the carrots. Finely slice the garlic, dice the zucchini. In a pan heat some oil (to cook I use sunflower oil) and lightly fry the onions. Add the garlic, leeks and carrots and saute for a minute or so, stirring occasionally. Add the tomato puree, farro, zucchini and pour over white wine. Use good quality wine, as a bad wine will leave a bad taste. Cook for a few minutes for the alcohol to evaporate and the farro to soak up the wine, then pour in some vegetable stock, season with salt and pepper. Add stock as needed, stirring the farro frequently, which will give it a creamier texture and it will also prevent for the risotto being too watery. Compared to rice, farro does not soak up so much water, so be careful. Cook for about half an hour, until farro is cooked al dente. Sprinkle with chives and parsley and serve. 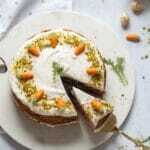 This recipe is suitable for vegetarians and vegans alike. These look fantastic, I love vegetarian farro risotto. Great Job !! How much white wine? Doesn’t say here or on Food52? Hello Martha, hope this answer comes in time for your dinner. I usually add just about 1/3 to 1/2 cup of wine to the recipe. 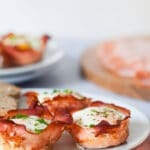 I will add the amount in the recipe as well, thanks for pointing it out!